Baku (AFP) - Seals waddling along the waterfront were once a common sight in Baku Bay, the Caspian Sea home of Azerbaijan's capital. Not anymore. Of the more than one million seals which inhabited the shores and islands of the Caspian a century ago fewer than 10 percent remain, and the species has been declared endangered. "It was not normal," but no one looked into the issue, the 57-year-old activist said. "The seal is a sign of all the major environmental problems (in the Caspian)." Bordered by Azerbaijan, Iran, Kazakhstan, Russia and Turkmenistan, the Caspian is the world's largest inland body of water, about the size of Japan. 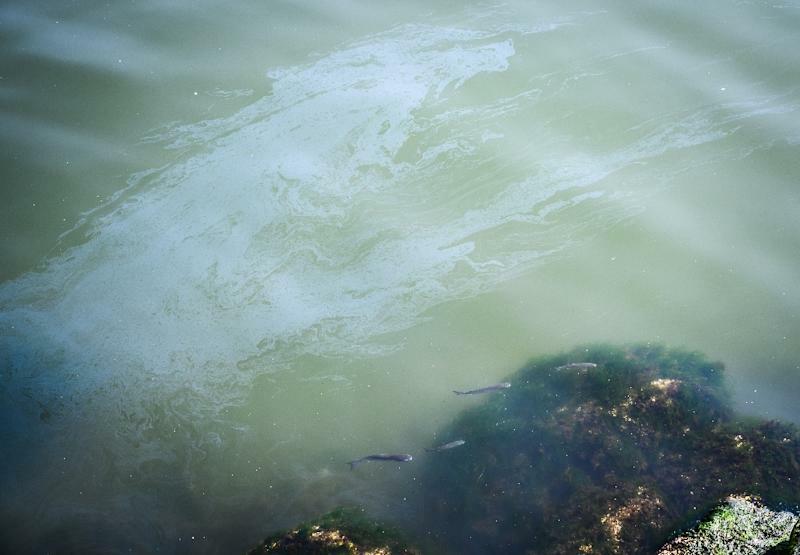 The UN Environment Programme has warned that the Caspian "suffers from an enormous burden of pollution from oil extraction and refining, offshore oil fields, radioactive wastes from nuclear power plants and huge volumes of untreated sewage and industrial waste introduced mainly by the Volga River". 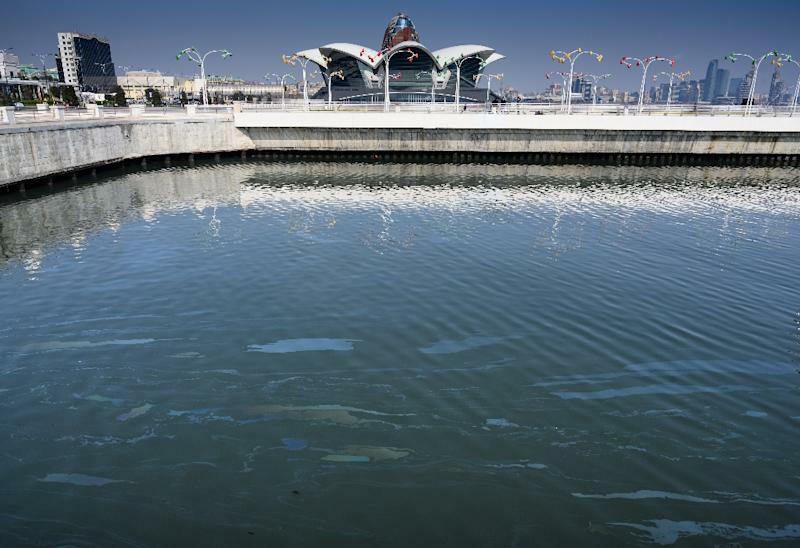 "Some fish seem to prefer polluted water, so they tend to congregate here," said 26-year-old Rashad. "The water is dirty," he said, displaying a plastic bag that was caught on his fish hook. The Caspian Sea used to be home to one of the world's largest population of sturgeons, but it has declined by more than 90 percent over the last three generations, the World Wildlife Fund said in 2016. "I remember when caviar cost 10 (Azerbaijani) manats (per kilogramme, 2.2 pounds)", or about $6, said environmentalist Garayev. "Today, it costs more than 1,500 manats ($960, 850 euros) and there is almost none left. We have practically no viable population of sturgeon today." 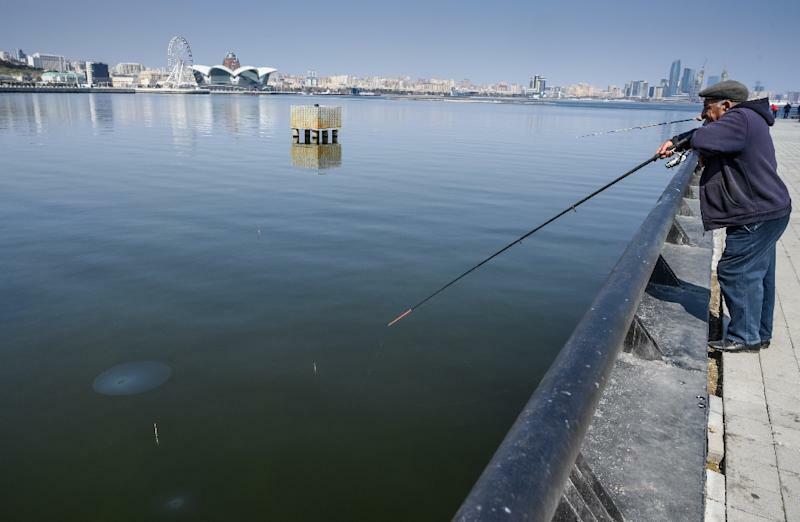 Aligaidar Mammedov, a former hydro-geologist and fisherman turned environmental activist, said that oil exploration methods either kill or chase away the sturgeon. "They set off seismic explosions in the sea," he said, adding: "The seabed is destroyed as a result, and sturgeons are seabed fish." Azerbaijan's state-run oil company, SOCAR, says it is doing its part and has cleared most of the vast areas near Baku that used to be covered with oil sludge. "The environmental challenges came mainly during the Soviet era, when the country didn't take enough care of the environment and the technology was not as sophisticated," SOCAR spokesman Ibrahim Ahmadov said. A recent study by Azerbaijan's Academy of Sciences estimated that the sea level is dropping by more than six centimetres (2.3 inches) per year. "Climate change along the Caspian Sea basin causes very rapid evaporation," said Elnur Safarov, an Azerbaijani marine scientist and one of the study's authors. "The five countries bordering the Caspian, their economies, their lives, depend on it completely -- fishing, the oil industry, agriculture, communications," he said. "When the sea level changes... the social and economic situation of the entire coastline changes." They worry that the Caspian may share the fate of Central Asia's Aral Sea, which has all but vanished in one of the world's greatest environmental catastrophes. "It would be so stupid to lose it (the Caspian) like the Aral Sea," Garayev said. "I don't want to think about it. It would be a crime."